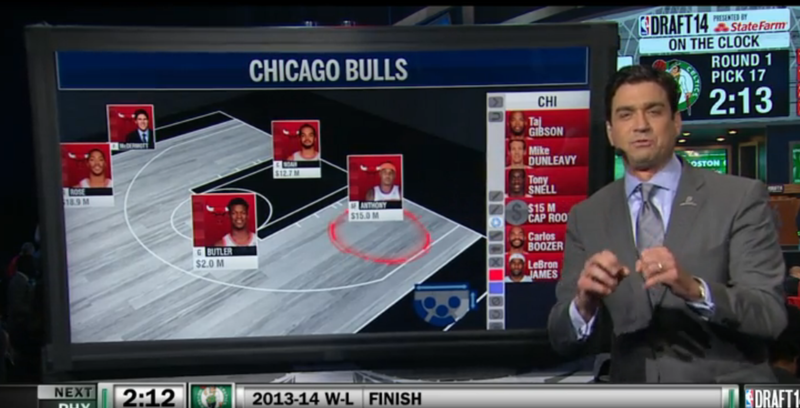 The Bulls, as have been rumored for weeks, pulled the trigger and moved up in tonight’s draft. 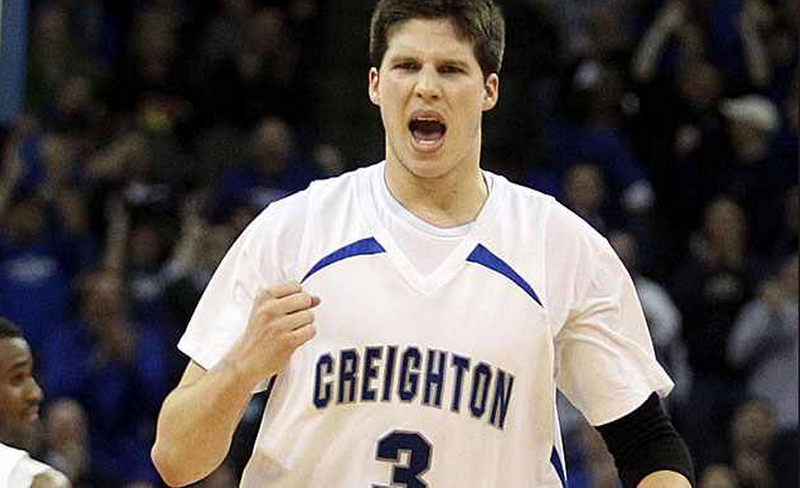 In desperate need of shooting and enamored with four year starter Doug McDermott from Creighton, the Bulls packaged the 16th and 19th overall picks along with a future second rounder for the rights to McDermott, who was taken 11th overall by the Denver Nuggets. Of course, McDermott could still be included in a sign-and-trade with New York for Carmelo Anthony, but it’s more likely that this means the Bulls are going to try and get rid of Mike Dunleavy. The Bulls have been following McDermott for a long time, and see him as a key piece to the future. And hey, when asked what people will think about him when he retires, McDermott responded, “as a champion”. Welcome to Chicago, McBuckets. The last two months have been an exciting time for the NBA, and not just because of the exciting play on the court. The beginning of February marked the end of the David Stern Era and the dawn of the Silver administration. The new commissioner entered his new position amidst much buzz about major changes that he may bring to the NBA. One such change was recently put into place. Recently, in an attempt to create more transparency between the League Office and the fans, Adam Silver announced that the NBA would be releasing it’s officiating points of emphasis memos to the general public. The move was roundly applauded by teams and members of the media who greatly appreciated the new commissioner’s show of good faith. With the winds of change a-blowin’, the biggest issue that Commissioner Silver has been linked to is the NBA age minimum. After a decade or so of high school seniors jumping straight from geometry to Madison Square Gardens, the NBA enacted a minimum age of 19 in 2005. The “One-and-done” era that we find ourselves currently in has been hated on by old white men everywhere who claim that it has ruined college basketball and tradition and love of the game and integrity and rainbows and bunny rabbits too. What the rule has actually done is this: it has gotten NBA scouts out of tiny high school gyms. It has allowed those same scouts a larger sample of games (and against better competition) to watch, making the evaluation process more precise. It has by absolutely no means harmed college basketball in the slightest. Guys who are ready to make the jump to the pros are content to do their year of slave labor the “college experience” and just head to the pros after a single season. It has forced coaches to work a little harder in recruiting, as the Ralph Sampsons and Tim Duncans of the world are likely gone for good. But what if the age limit is raised to twenty? What would happen then? Old white men would likely parade through the streets, celebrating with the passion that would normally be reserved for the day when Viagra makes a pill that grows your hair back. But I suspect their triumph would be in vain, as a bump up in the NBA age limit would drastically harm college basketball as we know it. 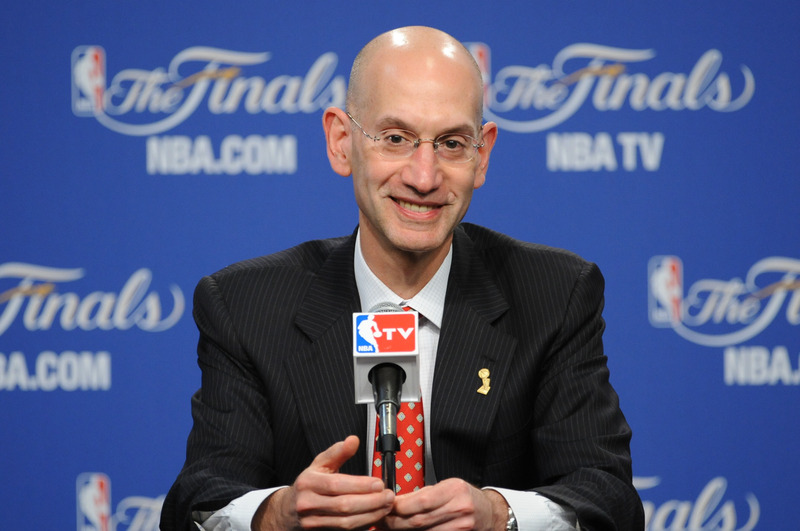 Adam Silver, in aggressively pushing his age agenda, currently hides behind a veil of good intentions. Silver, in addressing his rationale for the increased limit, has cited a desire to allow the players to mature, both on the court and off, before they move into the professional ranks. But I surmise that the new commissioner has other motives in mind. While high profile players seem to have accepted the 12 month delay before pay day, there has to be some question as to whether a forced second year of NCAA basketball would change kids’ mindset. While the NCAA likes to paint itself as the ultimate place to learn and grow, there are other options that exist today for American 18 year olds who want to play basketball. Top prospects have the option of spending the year overseas, or entering into the NBA Development League for a year. The one-and-done era has seen relatively few guys choose an alternative route to college, but a deuces-and-deuces policy (just made that up and I’m pretty proud of it) could make that a much harder choice. Going to Europe poses many issues, and the high profile cases who have tried it so far have not been particularly successful. People who want to go to Europe must consider the stories of guys like Jeremy Tyler and Brandon Jennings, guys who tried to circumvent the NCAA but found that living in a strange land with little in the means of a support system was probably not the best idea. Another interesting development in the NBA, one that began with David Stern and is likely to continue with Adam Silver, is the growth of and investment in the D-League. The NBA is using the D-League as a laboratory of sorts for tweaks to the product. Zach Lowe has written about it not once, but twice already this season. Teams are also using their own affiliated franchise to perform strategic experiments, excellently chronicled here on the Grantland Channel. With the NBA making serious efforts to build itself a thriving minor league system, the only missing ingredient is talented basketball players. So far, the D-League is comprised mostly of undrafted free agents and retreads trying to hold on for one more shot at the big show. For the casual basketball fan, these are not the kind of guys that one would intentionally watch on TV. The allure of the always wild NCAA Tournament to its fans is two headed: First, there is the excitement of seeing the little guy compete. This year saw an unlikely run from Dayton to the Elite Eight, filled with upsets and nail biters along the way. Every tournament seems to have one captivating underdog story, be it Wichita State, Butler, VCU or George Mason. But by and large the Cinderella stories rarely make it out of the first weekend of the tournament. So why do people stay tuned in throughout the Final Four? Because even though seeing upsets is fun, what’s even more fun is watching basketball being played at a high level by, what is usually safe to assume, the stars of tomorrow. People love college basketball not just because there’s a marching band and people paint their faces, but because college basketball allows basketball fans to look into the crystal ball and get a glimpse of who the next superstars will be. For the superstars of tomorrow, playing NCAA basketball has always been the obvious post-high school decision. But with an increase in the age minimum, that may no longer be the case. The NBA, in my best estimation, hopes that kids choosing between college programs will also have to consider signing up for the D-League. It is fair to question why someone would choose two years in the far less glorious development circuit to being the big man on campus for 24 months. The reasons are simple: the D-League can provide superior player development and superior compensation. One may be quick to counter that college basketball offers the services of legendary coaches who have decades of success under their belts. But the reality is that college basketball is a drastically different game than the one played at the professional level, and to some extent the college game can stunt the development of a top talent. Is learning to master Jim Boeheim’s 2-3 zone going to make someone a better pro? Is operating in Bo Ryan’s clock eating no-fun-allowed system going to really grow anyone’s offensive abilities? The NBA’s motive to get talented underage players into the D-League may be for developmental purposes, but could also be to achieve financial gains. A shift in talent from the NCAA to the D-League would result in a shifting of the eyeballs of basketball fans who would now be inclined to flip on a D-League game on a Saturday afternoon than a lowly NCAA game. This could be big business for the NBA and it’s development league. In 2010, the NCAA and CBS negotiated a 14 year contract that pays the NCAA a hair under $11 billion. While I know of no D-League TV deals in place now, if the Wiggins and Jabaris of the world were debuting in the D-League, it’s safe to assume that a network would be willing to fork up big cash to televise them. This change in trend would also push every team to have their own D-League affiliate. The competitive advantage of having a team now is arguably insignificant for whatever the costs may be. But with TV money and unprecedented access to pro prospects, it would be incredibly foolish to not have a franchise. I have long bemoaned the lack of a Bulls D-League affiliate and will loudly celebrate the day that they do. The precedent for players to enter the D-League before being drafted is being set today. Last year, after being dismissed from Georgia Tech on dubious charges, Glen Rice, Jr. spent a year in the D-League before being drafted by the Wizards early in the second round. This year, after being dismissed from UNC for head-scratching NCAA violations, P.J. Hairston has been thriving in the D-League and is likely to go somewhere in the back of the first round. I, like any good basketball fan, will have secured a great spot on my couch Saturday night to watch the Final Four. My bracket having been ripped to shreds weeks ago, I will be rooting only for competitive and tight games. The excitement of seeing guys like Julius Randle and Shabazz Napier carry their teams is why college basketball is so fun. The NCAA Tournament seems like an American institution on par with the Masters. But one day soon, it may be the D-League playoffs that you are scheduling your vasectomy around.